Before embarking on this great adventure, it might still be interesting to know all the costs involved for such a trip. Through the years, travelling in Africa has become more expensive too. However, in a recent development, the Senegalese government decided to abolish the visa requirements, introduced in 2013 for Europeans (among others). According to the Senegalese President Macky Sall, it is important to allow the tourism industry to grow again after a slump, due to the economic crisis and the EBOLA crisis. Regarding the latter, there has only been one documented EBOLA patient in the country, originating from Guinea, who healed. Nevertheless, the fear among western tourists had a devastating impact on the tourism sector. While Senegal facilitates better access to the country, Mauritania seems to choose for the opposite. The country has dramatically increased the price for a visa recently, from 35, – euro to 120, – euro per person. Overlanders obligatory must temporarily import their vehicle into the country, which is only possible through an official agent at the cost of 60, – euro. Then there are vague costs when leaving the country. There are three offices at the Diama border crossing: Customs, Police and Gendarmerie. For each, one must pay 10,- euro before the barrier giving access to Senegal is opened. Add the compulsory car insurance of roughly 30, – euro and you get a total of 240, – euro. This is the amount for one person travelling through Mauritania in less than two days. 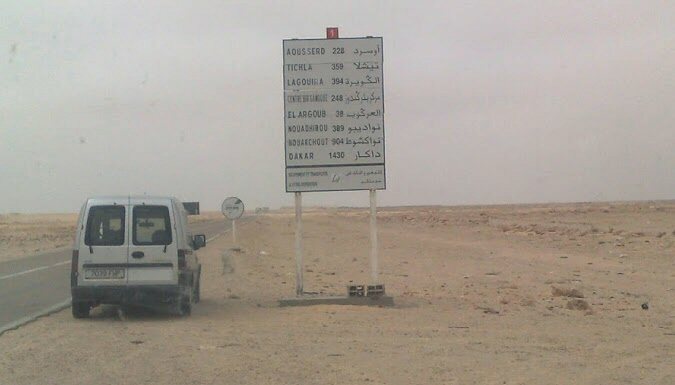 The Regional Tourism Federation Nouadhibou FNT has so far pleaded in vain with the central government to reduce costs and ease procedures at border post KP55. According to the director of this organization, Alioune Ould Mahjoub, it has become simply too expensive for tourists. 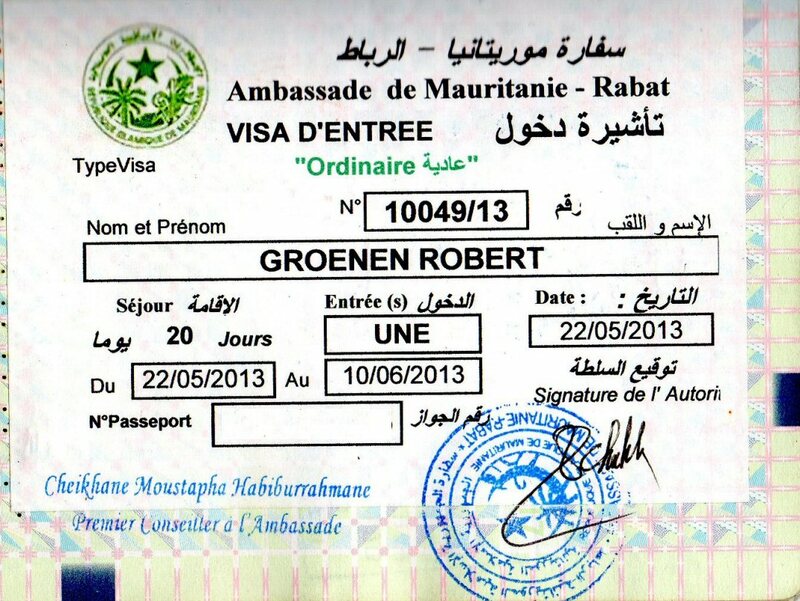 120 euro: Single entry visa Mauritanian border KP55, per person see updates! Tip! You can save on fuel expenses when entering Morocco with an almost an empty tank (so do not fill your tank in Southern Spain). In Morocco, fuel is far less expensive than in mainland Europe. Before entering Mauritania, buy as much as possible to reach Senegal. Once past Morocco, fuel prices increase. However do not exaggerate, bringing too much fuel reserve may cause trouble at the Mauritanian border.